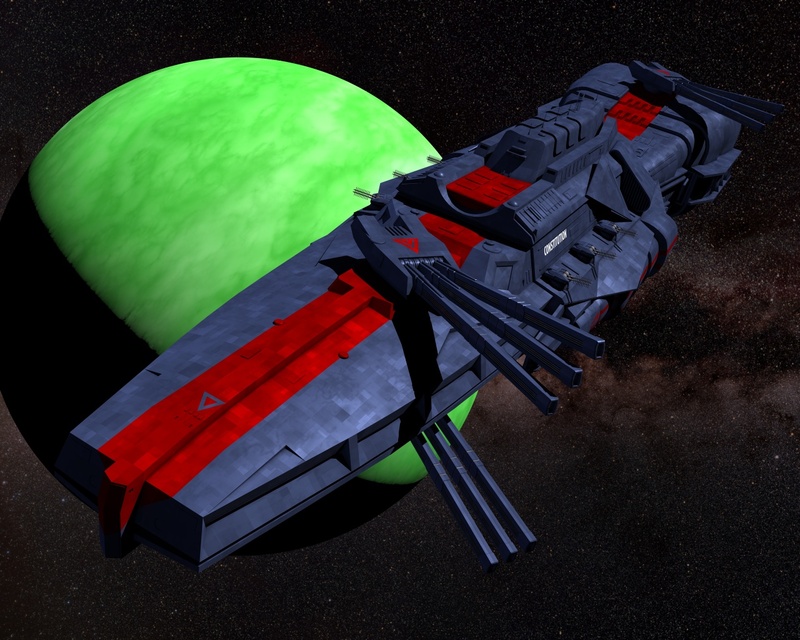 Confederation experimental strike-craft carrying battlecruiser the CSS Constitution, seen passing the planet Adder during exercises in the Solomon system. From the novel An Unproven Concept by James Young. Constitution model based on the drawing by Jon Holland (http://desuran.deviantart.com/), original design by James Young and Jon Holland.